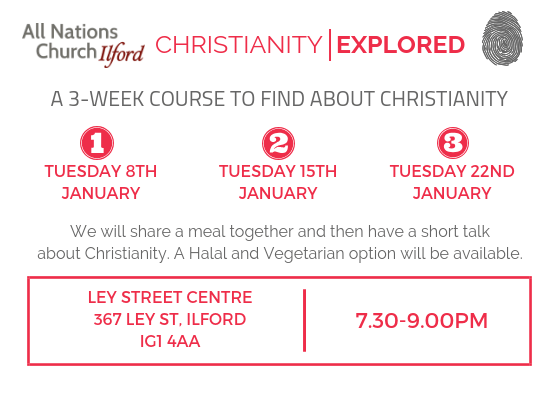 Christianity Explored is a weekly course for those who want to learn more about Jesus and the Christian faith in general. We encourage questions of all sorts and always have open discussion. Yes, it is for anyone. Whether you are new to Christianity or not, just not sure about it or have a lot of questions, it would be great to have you along. We will meet together to eat a meal (Halal and Veg options) and then have a short talk to learn more about Jesus. Then there will be chance to discuss it and ask questions. The course will run for 3 weeks.